We are giving away a guaranteed £10,000 this week (Friday 4 August 2017) in our weekly lottery draw. You have until 5pm on Thursday 3 August to be entered for this weeks jackpot. Instant play is available online now from £1 a week. The big cash prize is the result of our weekly rollover having not been won for a record breaking 50 weeks. Gambling regulations cap the rollover at £10,000 meaning the money must be won by this Friday, 4 August 2017. Our lottery is also celebrating a milestone, having raised £10 million for patient care since the lottery first began 23 years ago. 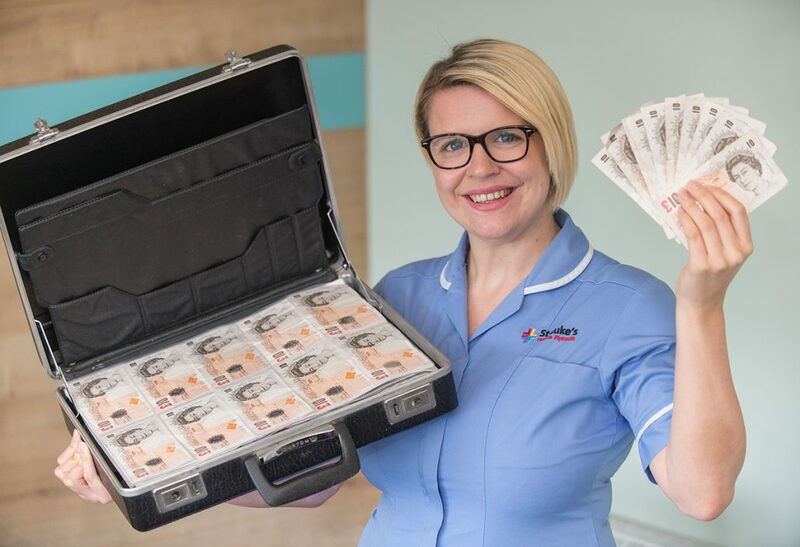 In raising £10,006,140 since 1994 , our lottery alone has generated enough profit to enable our St Luke’s nurses, social workers and therapists deliver care for the equivalent of 10,000 patients who are living with life-limiting illnesses at home. Every year the St Luke’s lottery gives out 1,664 cash prizes to the lucky winners, with players in with a chance of winning prizes of £1,000, £200 or £10 every week. What’s even better is that if you play the St Luke’s lottery for a year, you have a one in eight chance of winning a prize as opposed to the National Lottery where the odds are one in 54! Instant play available here, from £1. Over 18’s only. NEWS: Fun on the Hoe – a new work of art is set to brighten the walls... NEWS: £10,000 lottery winner announced!